Home 2017 Races Medical Innovation in Emerging Markets. Medical Innovation in Emerging Markets. VIA Global Health is the leader in the distribution of medical supplies and equipment to emerging markets. Last year alone, medical professionals used equipment from VIA Global Health to impact the lives of more than 150,000 women and children across Africa, South Asia and Latin America. The primary focus of VIA Global Health is to make it faster, easier and more affordable to source, purchase and ship medical supplies anywhere in the world. By increasing market access to life-saving medical innovations VIA is supporting the development of sustainable medical devices designed for low-resource settings and the unique challenges that medical professionals across emerging markets face. Some of the most popular medical innovations which VIA Global Health sells are the Non-Pneumatic Anti-Shock Garment for PPH, the Pumani bCPAP for newborns, the Firefly neonatal phototherapy device, the Arktek Passive Vaccine Cooler and the EVA System Mobile Colposcope, Emoyo Kuduwave and the Cure Medical Thermocoagulator. 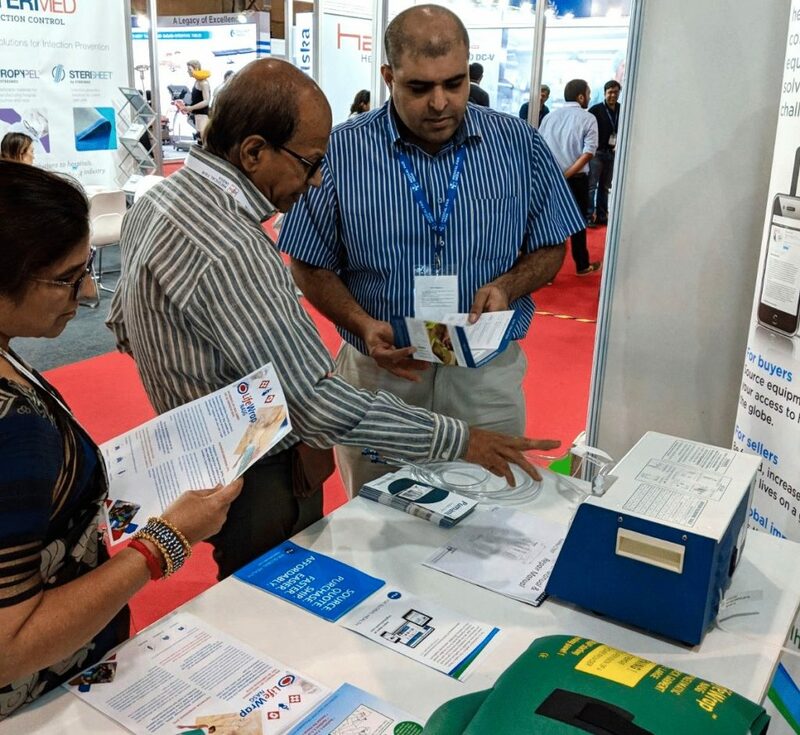 As part of an additional commitment to both maternal health and economic empowerment, VIA has launched NASG-INDIA in partnership with local distributors to tackle the problem of post-partum hemorrhage in India by expanding access to non-pneumatic anti-shock garments. VIA Global Health is dedicated to supporting and empowering local distributors within Africa, South Asia and Latin America. VIA’s network distribution partners are able to access not only the latest medical innovations but order spare parts, watch training videos, user manuals and order additional consumables and supplies when necessary. Additionally, through VIA’s customer service and market insights team, medical distributors around the world are able to influence, guide and interact with medical innovators from the top universities and companies.